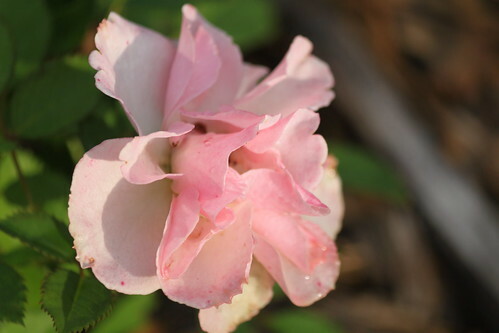 Pam's Photo Blog: Greg's Rose Bush Survived! Greg gave me a mini rosebush for Mothers' Day and I thought I killed it... Mark planted it outside and it survived. Hooray!